We serve original Tropical-Sno Hawaiian shaved ice in all the most popular flavors. We will travel to festivals, fairs and events around the Western Washington area. A few of our previous events are: Tacoma Freedom Fair, Olympic Air Show, Mason County Fair, Chehalis Garlic Festival, Jefferson County Fair, King County Fair, Westport Pirate Daze, Lacey Spring Fun Fair, and Clallum County Fair. 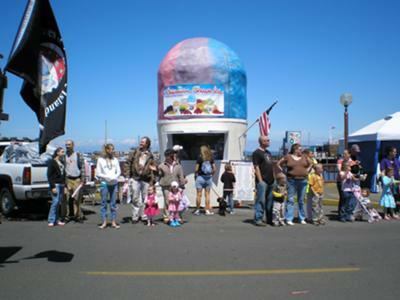 If anyone has an event that you would like us to attend, please contact MaryAnn at 360-280-8832, or at our website www.maryannsshavedice.com.